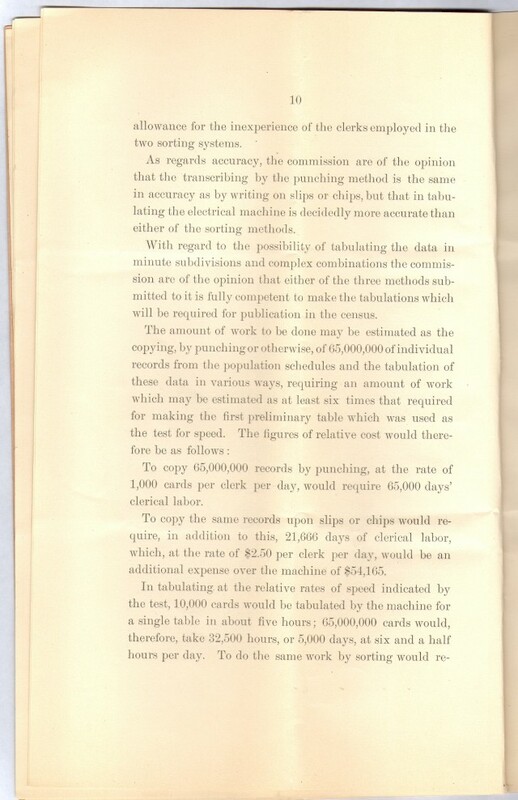 EarlyComputers: The Different Methods of Tabulating Census Data. 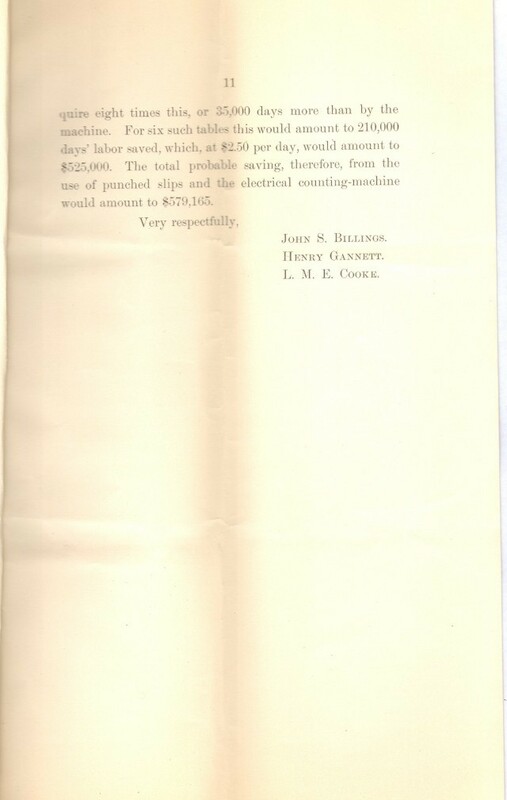 Herman Hollerith's Electric Tabulating System is generally regarded as the beginning of electronic computing in this country. 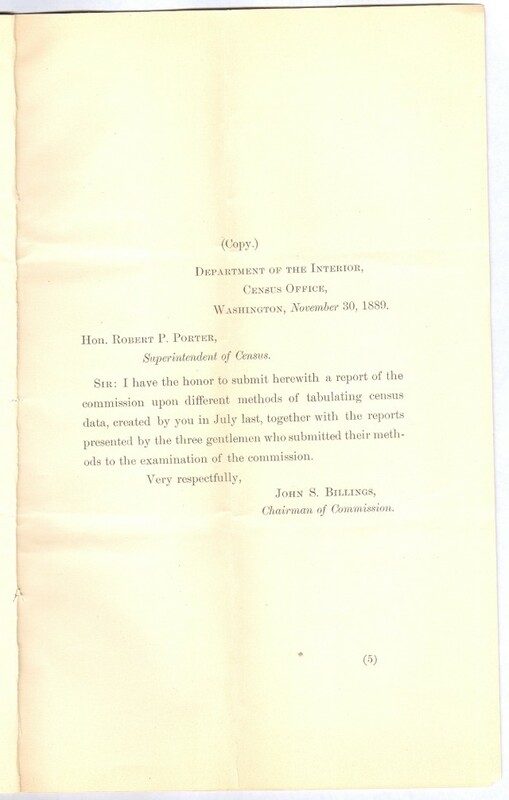 This document, with the typically long governmental title "Report of the Commission Appointed By The Honorable Superintendent Of The Census. 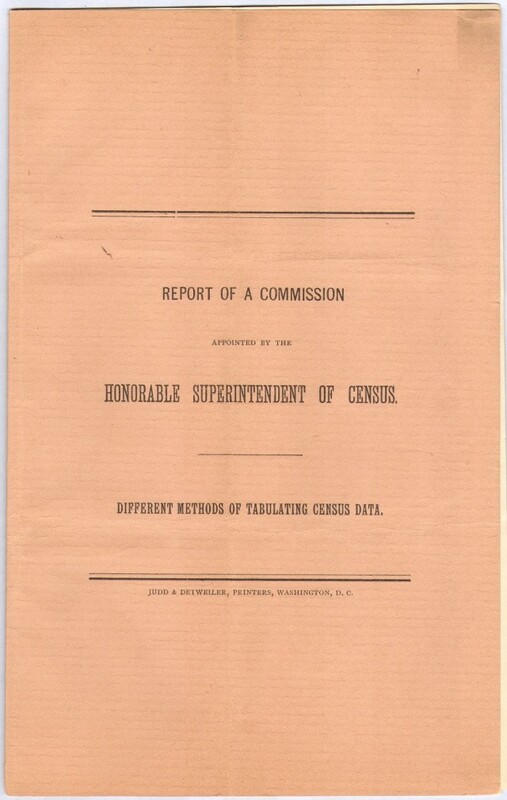 Different Methods of Tabulating Census Data." 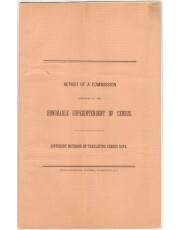 was the basis upon which the contract for the 1890 Census was awarded to Hollerith.